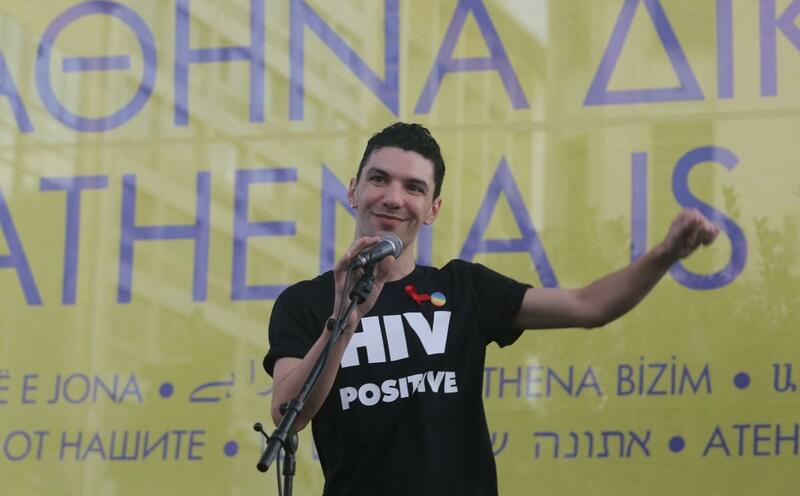 “On September 21, 2018, the LGBTQI and HIV+ activist, drag queen Zak Kostopoulos was brutally lynched in the Greek capital city of Athens. From the outset, news circulated in the Greek media alleging Kostopoulos lost his life as a result of his attempted robbery. However, soon after, the videos that came into the public domain revealed that Kostopoulos had found himself locked inside a jewelry shop and that then, while attempting to escape by breaking the window, he met his death after having been beaten severely both by his attackers and the police. “We, as LGBTI+ organizations and activists from Turkey, feel deep sorrow due to Zak Kostopoulos’ murder. Our sorrow has turned to anger, given the investigation conducted by the Greek authorities and the media cover-up attempted to portray the murderers to the public, as ‘a group of outraged citizens’ and the murdered LGBTQI activist Zak Kostopoulos, ‘a criminal thief’, hereby, seeking to justify the brutal violence that he was subjected to. “We call upon the Greek authorities to take the necessary steps in order to conduct an unbiased and fair investigation, to prosecute the perpetrators of the murder and to inform the public about the incident with due clarity. “We demand justice for Zak Kostopoulos. We see Kostopoulos’ murder as a consequence of the rise of fascism in Europe and in many other parts of the world. Our demand for justice for Kostopoulos, is integral to our quest for justice for all people who are exposed to violence and who are murdered due to their sexual orientation and gender identity in Turkey, in Europe and in Middle East. We want to express our solidarity with the LGBTQI persons who resist for freedom and equal rights in Greece in their fight for justice for Zak Kostopoulos. Bursa Free Colors LGBTI+ Association, Dersim Roştîya Asmê LGBTI+ Initiative, Hevi LGBTI Association, Izmir Young LGBTI+ Association, Kaos GL - Kaos Gay and Lesbian Cultural Research and Solidarity Association, Keskesor LGBTI+ Initiative, Kocaeli LGBTI+ Initiative, Istanbul LGBTI Solidarity Association, Mersin 7 Colors LGBTI Association, Pink Life LGBTT Solidarity Association / QueerFest, SPoD - Social Policies, Gender Identity, and Sexual Orientation Studies Association.